I will try to become more mechanical energy from our valuable heat produced by the combustion of hydrocarbons. Still hydrocarbons cost money and combustion affects the climate so we must be frugal. 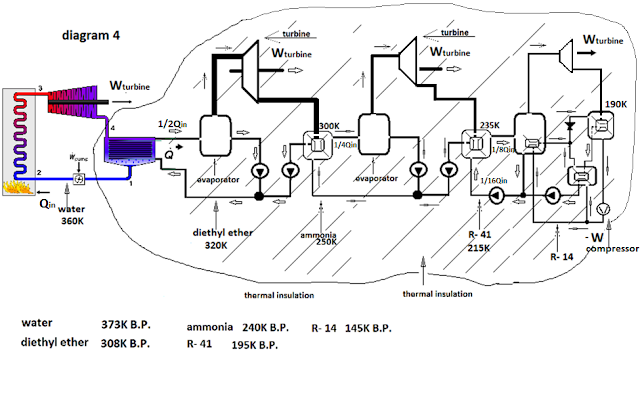 Will use the waste heat from the ammonia cycle to warmed R-41 to a temperature higher than its boiling point. 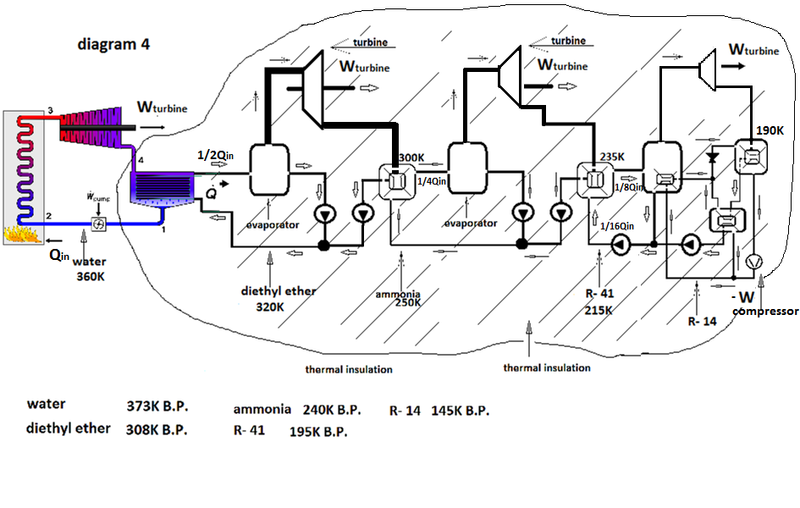 A turbine (maybe piston in the cylinder) will add to turn half on the amount of heat seething R-41 into mechanical energy - chart 4. For the same capacity on turbine 3/4 of waste heat on diethyl ether which releases into the environment will become a mechanical force. Публикувано от Svetozar the Cold в 22:36 ч.